Simply open the cap, squirt some ink into the refill hole, and close the cap afterwards. At ECB Inkjet, we bring you products of the latest inkjet innovation. These products are designed to slash your print costs, and also reduce the impact of your printing on the environment. You may have already noticed the unique product categories on the left, which are not commonly available elsewhere. For more information regarding these environmentally friendly products, simply visit our New Technology page. Free postage for orders over $30. Buy 3 items and Get the 4th one free. All orders above $30 will be posted free of charge. All items are eligible including ink cartridges, laser toners, fax film, refill kit, photo paper and more. Offer is not valid for postage outside of Australia. Buy 3 Free 1 offer applies for items of the same kind. Buy 3 items of the same kind and the fourth one will be included for free. Do not add the free item in the shopping cart. ECB Inkjet is a proud supporter of wedding photographer Melbourne. Please feel free to contribute to this list, simply send your ideas to info@ecbinkjet.com.au. Laser Toners Sale!!! Compatible and Remanufactured. 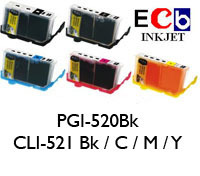 - New cartridges available, Canon BCI-15, BCI-16 and Epson T5591 ~ T5596. - New cartridges available, Epson T073N series and Brother LC-37 series. Why you should buy your printing supplies from ECB Inkjet? Every product you find on our website has been fully tested to assure you, not only products of the highest quality, but also your maximum satisfaction. 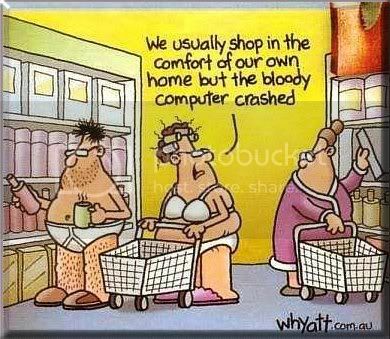 And this is exactly the reason why many customers return to us for their ink cartridges, toner cartridges and ink refills needs. All the products are manufactured in an ISO9001 certified plant. The strict quality control ensures products meet or exceed OEM standard. Plus, we strive to bring the lowest prices to you. Our aim is to bring you products of the quality you need, and the price you want. Click here to view more testimonials or write your own! We ship to all states within Australia. All orders will be packed in bubble wrap to minimize damage during transit. Shipping and handling is a flat rate of AUD8.50 regardless of the quantity purchased, unless otherwise noticed. All orders will be sent using Australia Post Express Services or other Courier Services, both providing tracking services in case you did not receive your order. Orders will be despatched within the next business day after payment is received if item is in stock. Generally, you should receive your order within 2 days after shipment. We also ship worldwide. Postage and handling fees depends on your location. Please contact us for a quote. Feel free to send us any questions you have. You may contact us at info@ecbinkjet.com.au. We understand that there is only so little you can learn about a product by looking at it from a computer screen. Therefore, we offer a 30 days full money back guarantee for all our listed products including ink cartridges, fax films, laser toner, ink refill kits and photo papers. We only require that the product to be returned in original condition and packaging, with all accessories along with your receipt number to process your refund. In an unlikely event that your purchase was damaged during transit, including leaking ink from cartridge, we'll send you an undamaged one freight free. You will need to return the damaged product to us so that we can assess it.